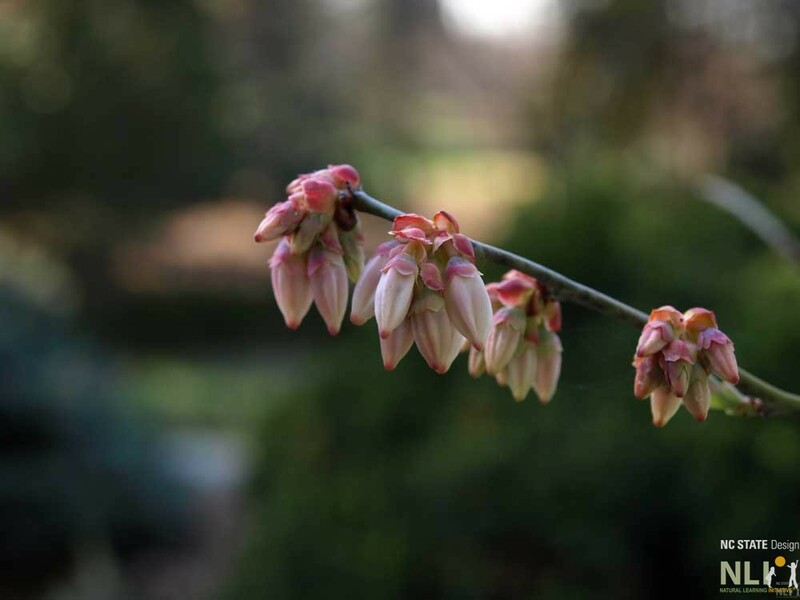 The joys of this plant begin in early spring with delicate, bell shaped flowers that attract important pollinators. These nonaggressive insects tirelessly hum between shrubs carrying pollen to and from open flowers and are responsible for the majority of blueberries that ripen two months later, starting in June and lasting until early August. There are a number of ways to have fun with this plant, from searching for the largest blueberry in July to pruning them to be a fort in the fall. You may also want to try blueberry counting games with the children or use them to make frozen treats together. 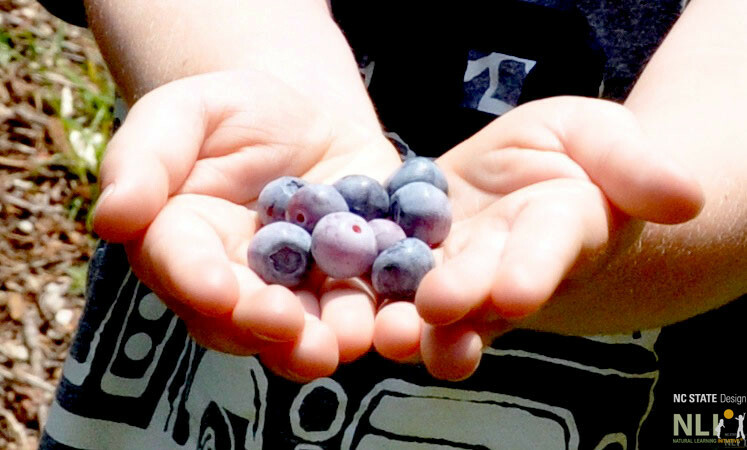 There are many species of wild blueberries, 13 of which are native to North Carolina, including rabbiteye blueberry, Vaccinium virgatum, formally known as Vaccinium ashei. This species is known for it’s superior fruiting characteristics and is mother to a number of varieties, including some of our summertime favorites ‘Climax’ and ‘Premier’. In order to maintain a successful harvest, two varieties of rabbiteye blueberry should be planted within 100’ of one another. 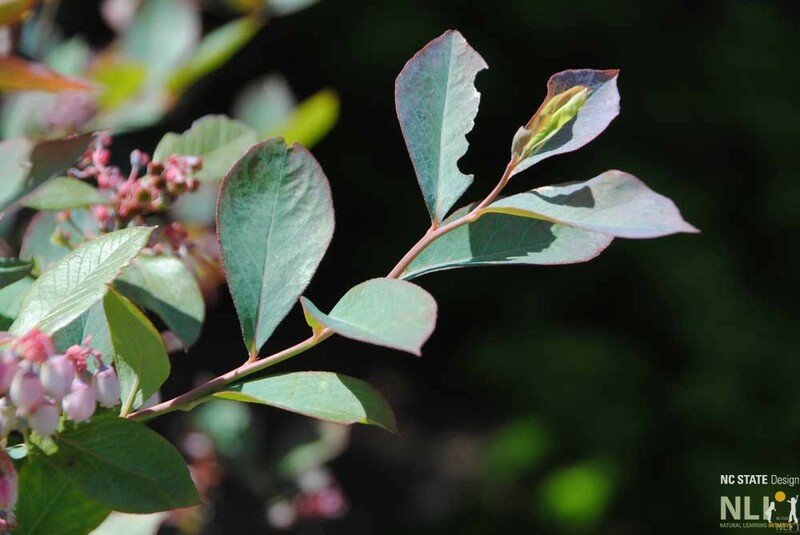 Rabbiteye blueberry is an excellent landscaping shrub, that is relatively easy to grow, though does require some site prep for best results. Growing as tall as 8’ to 10’ and with a spread of up to 6’, blueberries can serve as a hedge or border when planted 4’ apart. They can also be pruned to stay smaller, which makes harvesting easier. Like many trees and shrubs, blueberries should be planted in the dormant season, November to March, in an area that receives full sun to part (50%) shade (for best yield plant in full sun). The soil should be porous, not clay and may require the addition of some sand to improve drainage. Blueberries are in the heath family and like their Mountain Laurel and Rhododendron cousins, need acidic soil with a pH of 4.0 to 5.3. The acidity levels can be increased by adding organic matter like peat moss, pine bark or aged sawdust to the soil. Contact your local Extension office for recommendations on varieties suitable to your conditions and needs. You may want to have your soil tested in order to best determine what amendments to add; many extension offices offer soil tests as a free service. Rabbiteye blueberry. 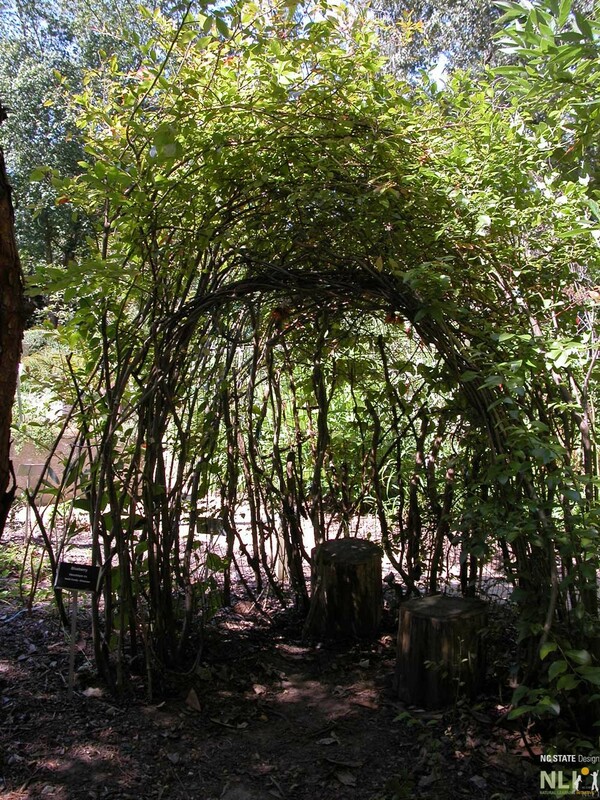 Photo courtesy of the JC Raulston Arboretum at NC State University. Blueberry house at the North Carolina Botanical Garden. Let’s make pancakes, yum, yum, yum. And drop on blueberries, one by one. Turn the pancakes, now they’re done. Blueberry pancakes, let’s have some! Blueberries for Sal by Robert McCloskey is an excellent book to read aloud. Check out this review from the New York Times parenting blog. For more information on the fun that can be had with blueberries, check this out.